Removes annoying message box when applying poison to weapon. 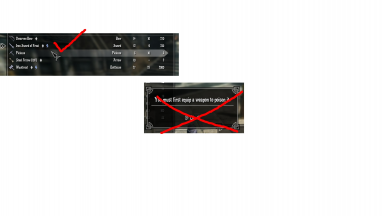 Enhanced version also supports Dual-Wielding weapons without switching the weapon to right hand first. Auto Consume Potions SE Not a hard requirement, just if you want to use the auto-poisoning feature. Author's note: The original mod's permissions allow users to reupload bugfixes without permission. I did not create this mod, I simply updated it for runtime 1_5_62. If the original mod author would like to assume control of the latest version, they can message me, and I will take this mod page down. Source code is available on my Github.